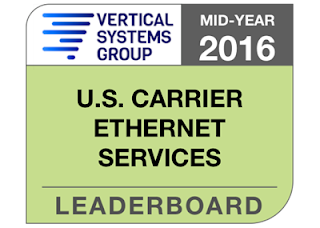 There is a shake-up in Vertical Systems Group’s U.S. Carrier Ethernet LEADERBOARD results for mid-2016, as Charter surges ahead of Verizon into third position due to its acquisitions of Time Warner Cable and Bright House. 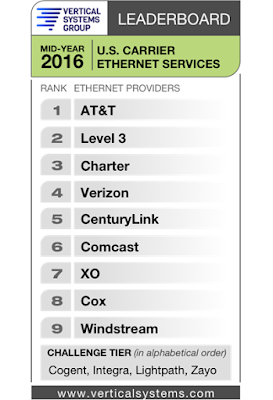 Here is the new LEADERBOARD (in rank order based on retail port share): AT&T, Level 3, Charter (includes Time Warner Cable and Bright House), Verizon, CenturyLink, Comcast, XO, Cox and Windstream. Port shares were calculated using the mid-year base of enterprise installations of Ethernet services in the U.S. plus input from surveys of Ethernet providers. The LEADERBOARD threshold is four percent (4%) or more of billable port installations. 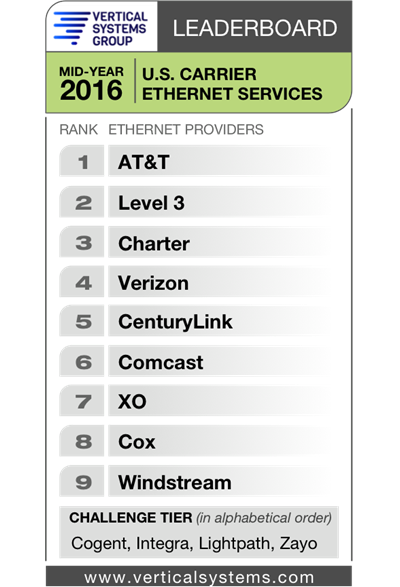 Charter joins the LEADERBOARD for the first time at third position based on aggregated ports from its May 2016 acquisitions of Time Warner Cable and Bright House. At the end of 2015, Time Warner Cable was the top Cable MSO and ranked fifth on the U.S. LEADERBOARD, while Charter and Bright House were in the Challenge Tier. Charter Spectrum is now the largest Cable MSO provider of retail Ethernet services. As a result of this LEADERBOARD shakeup, Verizon’s mid-2016 rank drops to fourth from third in 2015 and CenturyLink moves from fourth to fifth. Additionally, XO moves into the seventh share position ahead of Cox, which dips to eighth. In the Challenge Tier, Integra is a new entrant rising from the Market Player tier. The Challenge Tier includes providers with between 1% and 4% share of the U.S. retail Ethernet market. The following four companies attained a position in the mid-2016 Challenge Tier (in alphabetical order): Cogent, Integra, Lightpath (an Altice USA brand) and Zayo. The Market Player tier includes all providers with port share below 1%. Companies in the Market Player tier include the following providers (in alphabetical order): Alpheus Communications, American Telesis, Birch Communications, BT Global Services, Cincinnati Bell, Consolidated Communications, Earthlink Business, Expedient, FairPoint, FiberLight, Frontier, Global Capacity, Global Cloud Xchange, GTT, Hawaiian Telecom, Lightower, LS Networks, Lumos Networks, Masergy, MegaPath, NTT America, Orange Business, RCN Business, Sprint, SuddenLink (an Altice USA brand), Tata, TDS Telecom, TelePacific, Telstra, US Signal, WOW!Business and other companies selling retail Ethernet services in the U.S. market. 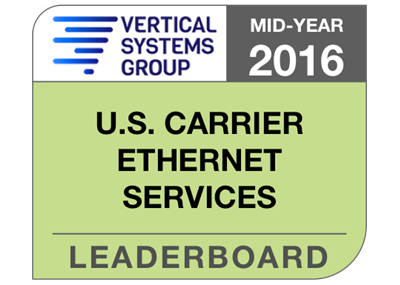 Detailed Ethernet share results for the U.S. market plus in-depth share analysis are available now exclusively through Vertical Systems Group’s ENS (Emerging Networks Service) Research Programs. 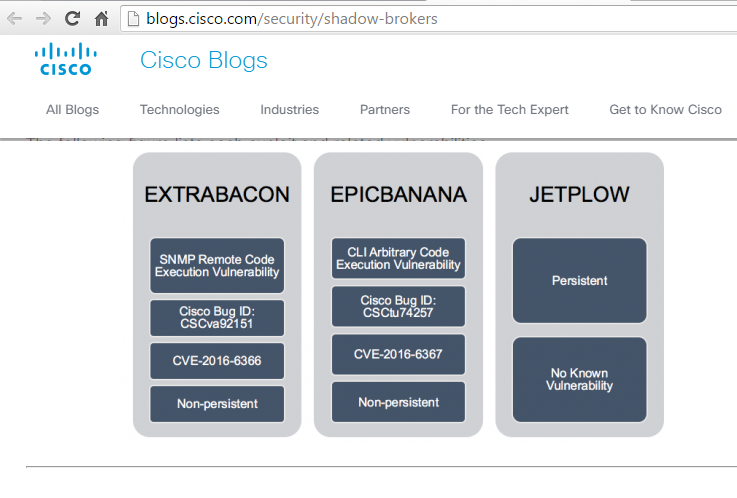 Cisco confirmed that its ASA and PIX firewalls were targeted to by exploit code posted online by the "Shadow Brokers" purporting to be stolen infiltration tools of the National Security Agency (NSA). 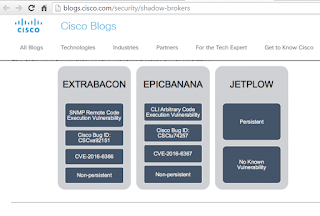 The Cisco ASA SNMP Remote Code Execution vulnerability is a newly found defect, and TALOS and Cisco IPS have both produced signatures to detect this issue. Nokia has been awarded over 30% of China Mobile's "Broadband China" project to construct a 100G optical network in support of its rollout of mobile broadband services for the world's largest 4G network. The win, part of Nokia's 2016 frame agreement with China Mobile, will see Nokia deploy a 100G Optical Transport Network (OTN) and DWDM backbone based on the recently announced 1830 PSS-24X packet optical transport system. "This is a crucial win with our longstanding partner. With our innovative 100G OTN solution, we are able to help China Mobile meet the higher requirements for large-scale 4G construction. We are committed to delivering the latest optical transmission innovations to enable China Mobile to optimize their networks and open up new opportunities for their subscribers," stated Mike Wang, head of the joint management team of Nokia Networks China and Alcatel-Lucent Shanghai Bell (ASB). 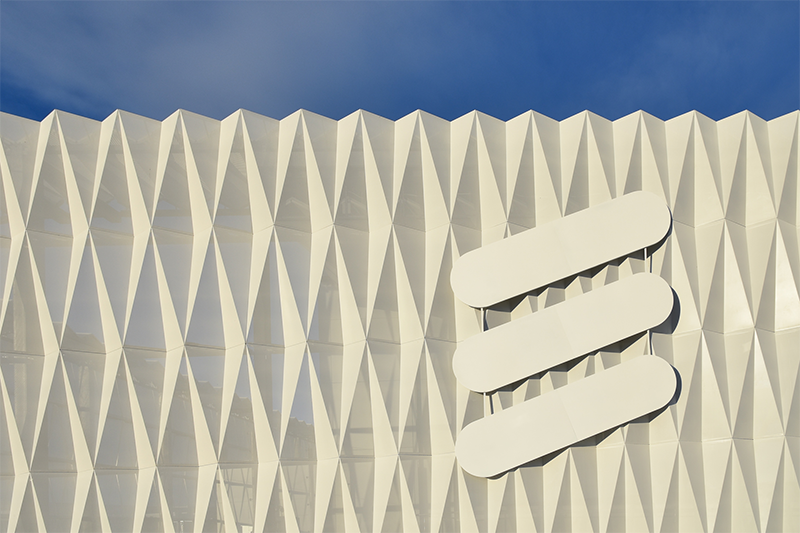 Ericsson will transfer its 2G and 3G development units in Linköping and Gothenburg, Sweden to Combitech, a technology consulting firm. About 300 employees will be transferred. Financial terms were not disclosed. 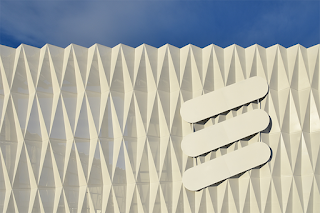 Ericsson said it remains committed to its 2G and 3G portfolio but will consolidate development of these technologies to fewer sites, in line with its R&D strategy. The agreement is expected to be effective October, 2016, subject to customary regulatory approvals. Approximately 300 employees will transfer from Ericsson to Combitech. The OPNFV Project has formed an End User Advisory Group (EUAG) consisting of end-user organizations from both OPNFV members and nonmembers to provide technical guidance to the OPNFV developer community.